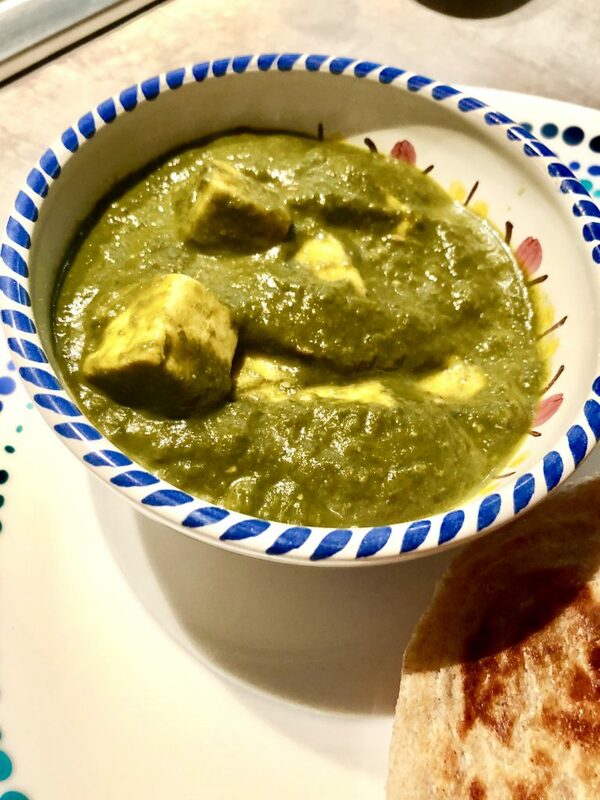 Palak Paneer or Spinach Paneer is a dish we would order when we went out for dinner back in the 90s in Mumbai. Alongside dishes like Tandoori Chicken or Butter Chicken and bread baskets. For some reason, Palak Paneer stopped being the favourite, not sure why though. 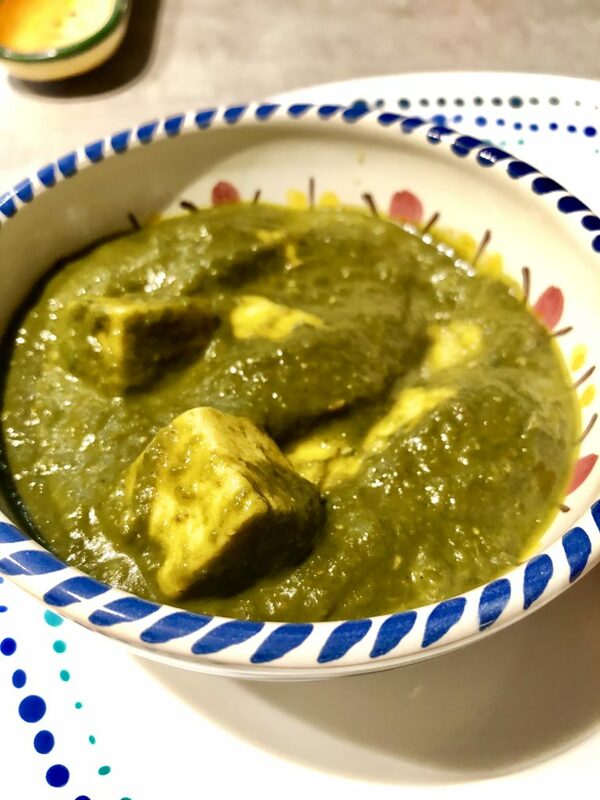 But this quintenssial North Indian curry not only looks beautiful – its emerald green smooth spinach puree – with the stark contrast of soft fluffy Paneer cubes. During my recent weekday shop, I ended up picking up a nag of spinach with the hopes of making a salad – I am not a frequent salad eater, specially the leafy variety. When it came to using the spinach, I almost immediately changed my mind to making Palak Paneer. 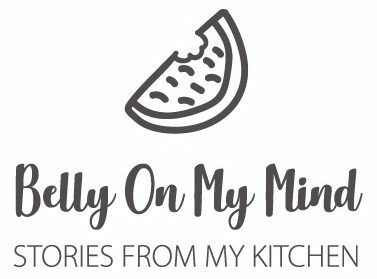 Curry trumps salad – every time doesn’t it? Hah! Making this is dish kind of therapeutic, wilting the spinach for just the right amount, and seeing the beautiful shade of green whilst pureeing the spinach. Green is good for your eyes apparently but your belly will thank you for this dish. I promise you that that only additional step is pureeing the spinach, everything else is fairly straightforward. Serve the Palak Paneer with a dollop of creme fraiche or cream alongside hot rotis. This dish comes guaranteed with a soul-warming feature too and is perfect for those long cold wintry evenings. Do you need any more reasons?